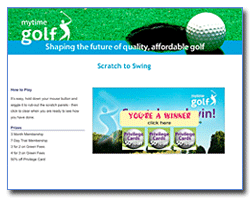 Promotional scratchcards provide a highly flexible solution to many business marketing requirements and people just love them. It's all to do with the interactivity: give someone a scratchcard and they'll find it hard to resist. 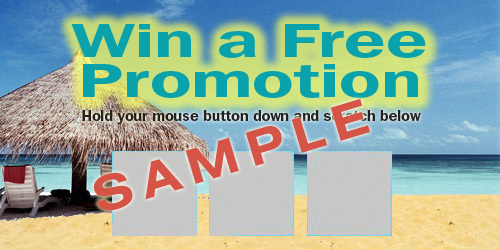 A scratchcard promotion can be tailored to dovetail exactly with your marketing aims whether it's incentivising a sales force, attracting visitors to an exhibition stand, raising awareness of your product or simply saying "Thank you" to your employees. Until now, the only real option has been printing scratchcards - and we still produce plenty of those. 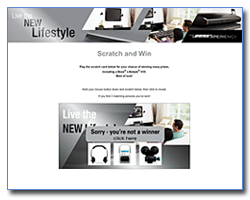 But now we've developed a new online promotional scratchcard system that can be highly personalised and tailored to your requirements with substantial savings compared with traditional printed cards. 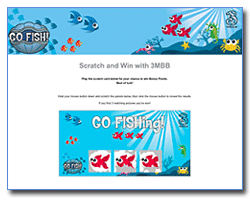 Electronic personalised scratchcards are a new breed of promotional ideas for business: a brandable, interactive promotion that costs nothing to deliver yet provides measurable results and can be up-and-running in a matter of hours, making an online scratchcard promotion suitable for both tactical and strategic marketing.